Worldwide, beer is the second most popular beverage (after coffee). No wonder everyone wants to Drink Beer Think Beer. With only four basic ingredients—water, malt, hops and yeast—it is staggering how many beer varieties are available now. With breweries popping up everywhere and even inexpensive home brewery kits available online, beer is definitely experiencing a renaissance from its former bowling league ambience. Beginning with a brief history of beer, the book quickly segues into the eccentric world of craft beers. Beers are made with some very unusual add-on ingredients. Some of the weirdest that are mentioned are beef hearts, stones, money and moon dust though the author admits that some are just publicity stunts or solely for collectors—not drinkers. This is a absorbing study of a favorite subject of many. Whether you like beer to drink, collect or are just following the trends, Drink Beer Think Beer is a good choice to make you more knowledgeable about beer. 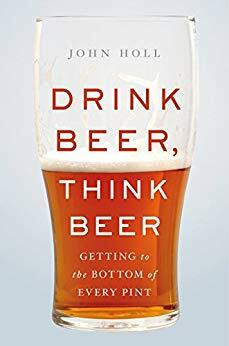 3 stars for me but if you love craft beer, this could easily be a 5 star read for you.